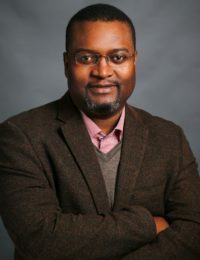 Dr. Alex Magaisa is a prominent Zimbabwean lawyer and constitutional expert currently teaching law at the University of Kent Law School in England. Between 2012 and 2013, he was chief of staff and principal advisor to Morgan Tsvangirai, then Zimbabwe’s prime minister in a coalition government and leader of the Movement for Democratic Change, the country’s main opposition party. In 2011–2012, Dr. Magaisa served as a key advisor to COPAC, the parliamentary committee that wrote Zimbabwe’s new Constitution, which was approved at a referendum and signed into law in 2013. He is the author of a widely acclaimed blog offering in-depth analyses of law and politics in Zimbabwe. During his fellowship, Dr. Magaisa wrote a handbook on citizens’ fundamental rights and freedoms under the new constitution, a project aimed at enhancing a culture of constitutionalism and democratic citizenship in Zimbabwe. During “Elections in Zimbabwe: Autocracy and Stasis, or Democracy and Change?” Dr. Alex Magaisa assesses preparations for the approaching elections in Zimbabwe and discusses the prospects for democratization, including possible post-election scenarios and the roles of the military and the international community. Forum Q&A: Alex Magaisa on Zimbabwe’s Upcoming 2018 Elections – Dr. Magaisa discusses new political dynamics and what they mean for the future of Zimbabwe in the context of the July 2018 elections.